ZCO/DANCEPROJECT returns to the Leonard Nimoy Thalia at Peter Norton Symphony Space, located at 2537 Broadway at 95th Street, New York, NY 10025 on Friday, June 1st 2018 at 7:30pm. Presenting ‘Limitless‘; a bold, soulful, and theatrical celebration of life beyond limits, this evocative production will feature a dynamic ensemble of dancers – many of which are making their ZCO/DANCEPROJECT debuts – and feature the choreography of founder Zazel-Chavah O’Garra along with guest choreography by the esteemed Kim Grier-Martinez (Artistic Director of the Rod Rodgers Dance Company) Bessie Award Winner Joya Powell, Nanette DeCillis and spoken word artist Ghalil Rhodes Benjamin. Tickets are $20.00 and can be purchased online by visiting www.symphonyspace.org or by calling (212) 864-5400. While ZCO/DANCEPROJECT‘s 2016 debut at Symphony Space encouraged inclusion, “Limitless” goes one step further by encouraging those with disabilities to live a life that is both exhilarating and boundless. 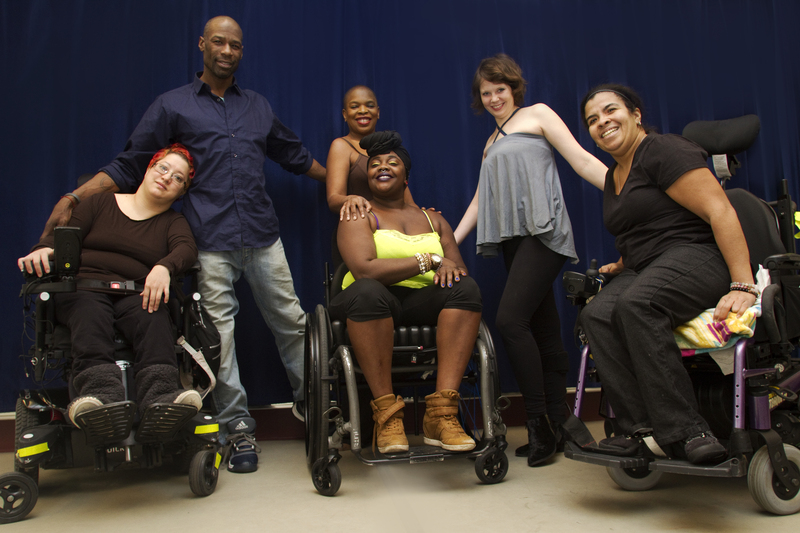 Since its inception, ZCO/DANCEPROJECT has shattered the preconceived notion of what it means to be disabled with transcendent performances that are at once witty, soulful, intelligent, intriguing and nothing short of groundbreaking. ZCO/DANCEPROJECT was founded in 2013 by esteemed dancer, actress and model Zazel Chavah-O’Garra. Since becoming disabled from a brain tumor which left her partially paralyzed 15 years ago, O’Garra has made it her mission to encourage the integration and inclusion of people with disabilities in society through the creation and performance of original dance works of artistic distinction. O’Garra’s dynamic choreography, fraught with perceptive sensuality and sanguine confidence, brings to life an extraordinary mobile tapestry never before seen in contemporary dance. Along with O’Garra, ZCO/DANCEPROJECT includes Sasha Ross Becker, Sabrina Bennett, Ugo Boss, Alejandra Ospina, Jazalee Sircus, The Amazing Amy (Harlib), Millie Gonzalez and Colleen Roche.